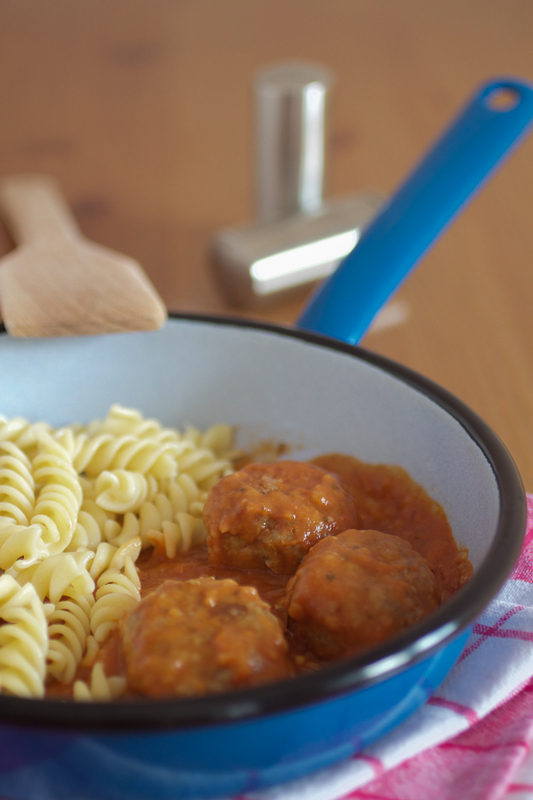 Balkan meatballs: mouthwatering, with a start to finish time of 35 minutes. What more can you ask for? P.S. Don’t forget to make pasta or mashed potatoes on the side. 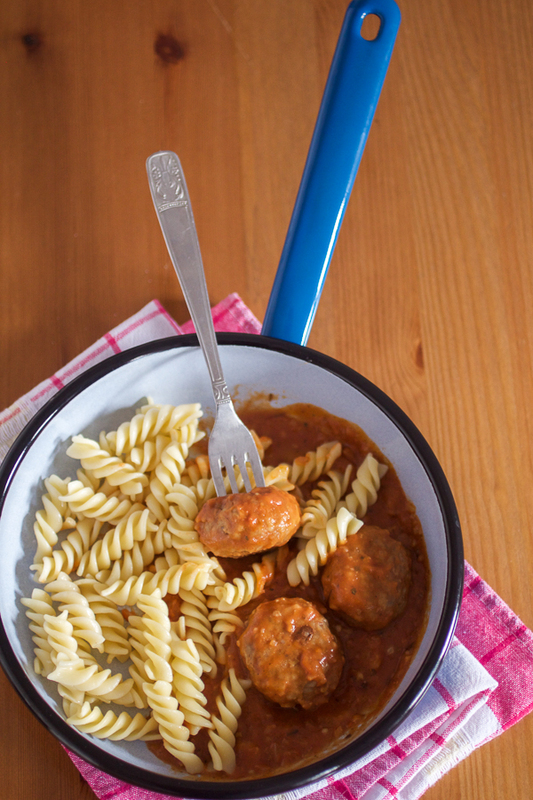 Although we’ve just kind of done a pasta recipe while exploring Dalmatian tomato sauce, today we’ll be doing ćufte (long: ćuftete) or Balkan meatballs. One of those universal recipes, meatballs belong to every culture that ever had ground beef in its repertoire of ingredients. Although I admit, Italians hold the PhD in anything meatball and pasta related, I assure you these Balkan meatballs will have you drool. Recipe is my sister’s. She is one of those folks that makes everything quickly, and makes it good. So if you are in the 45-minutes and under club, this is a recipe for you. Her ćufte are larger than the average, but are incredibly soft inside. She makes different sauces for meatballs, but this time she opted for a simple tomato sauce, not from scratch but comparable in taste. 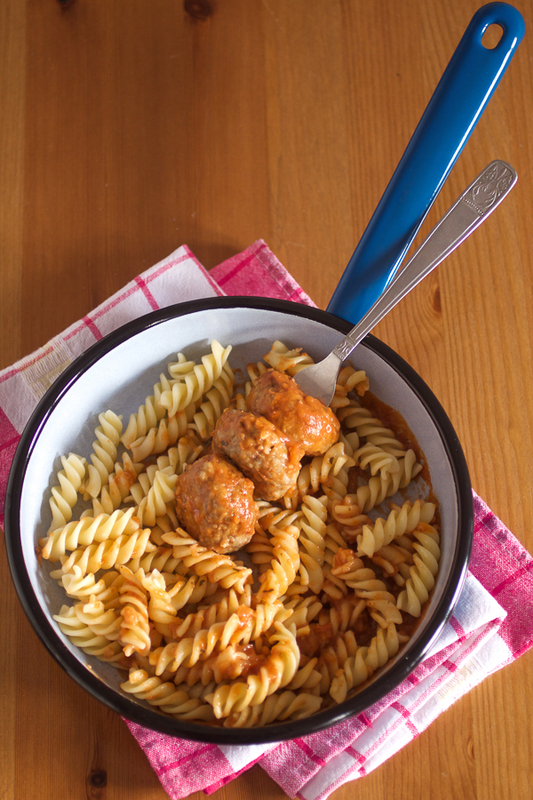 If you have a little more time, and a little more tomatoes than we did when we made this, I recommend you do the Dalmatian tomato sauce with these meatballs instead. 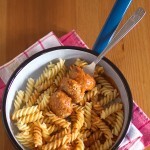 But if you are short on time, this quick version of the tomato sauce will not be short on yum. As everything, the times for frying these Balkan meatballs ćufte, will depend on your stove. I timed them exactly to give you an idea. You don’t want to go too much over or under. 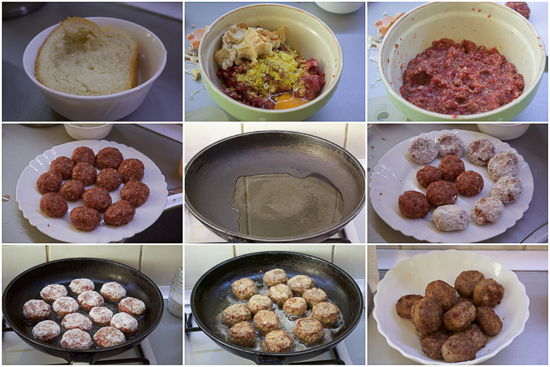 At first, you are just frying the meatballs for a little bit to keep the moisture and softness inside. Then you prep the sauce. 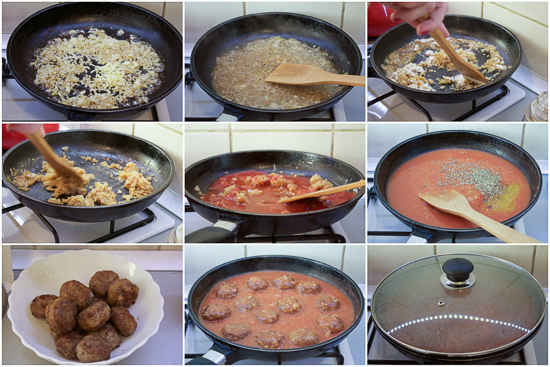 Finally, you return ćufte to the sauce and simmer longer so you bring them to completeness. There are so many sides to go with ćufte: baked potatoes, mashed potatoes, pasta, sandwiches, rice, even those silly zucchini spaghetti. I even eat them with ajvar. Every culture has customs that make it unique. One is against generalizations, naturally, but some consistencies in each culture reappear over and over no matter how much we’d like to avoid them. Here are a few about people in the Balkans. I found most of this list on some meme. For fun, I added a few more. It may give you a small insight into the culture on your next visit. Expert citizen… As soon as you are born you become an expert in these three fields: medicine, football (aka soccer), and politics. Life is like a box of chocolates… Every mom has 4 or 5 boxes of chocolates, a few body wash + deodorant sets, or unneeded kitchen-ry she received as gifts she is now hiding somewhere so it can be re-gifted (preferably not to the same person). No shoes please… You may be given a tongue lashing for not taking your shoes off in someone’s house. They will freely smoke in yours though. 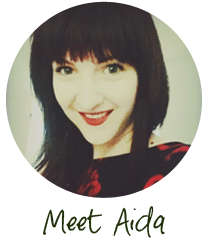 That one time before the war… Each one of us that has lived through the last war divides our time to “before, during and after the war.” This is true everywhere in the Balkans, but especially in Bosnia. Rakija aka homemade brandy… Whatever religion they are or claim to be, a proper Balkan person will have a liter or two of fine grade homemade brandy (generally plum) stocked somewhere in the house. In addition to being a drink, brandy is also an antiseptic, fever medicine, washing agent, immunity booster, cancer killer… the list goes on. Where is beef? A meal without meat is considered incomplete while vegetarianism in all its forms is considered a phase. Don’t take it personally, just put this on ignore as you’re devouring your zeljanica (spinach pie). Taped remote… Somewhere along the line the remote fell on the floor and the part holding the batteries in broke. Naturally, someone patched it up with scotch tape. It’s now waiting for Godot so he can get it fixed. Let’s go… or not… Leaving someone’s house is a process. As my American-born friend likes to say “there is at least three hajmo before one actually leaves a Balkan house.” (Hajmo = let’s go.) Once you say the first “hajmo” to your partner, your hosts politely feign insult with “Why are you leaving? Everyone knows you at home. Sit a little longer.” It goes on forever until you are too drunk to drive so you call the cab. When you return to pick up your car the next day, the hosts invite you in for coffee, and the story continues. Bag in a bag… There is a plastic bag somewhere in their house filled with nothing but other plastic bags. Just look around, you’ll find one. Did you eat? If you live with your parents (and most do until they get married in late twenties after dating their future spouse for a decade, all while sharing a room with a sibling) they will call during the day to ask if you ate. Cash is king… Balkan parents (if they live in the West) carry enough cash on them to buy a car. When not in the wallet, it’s safely placed under the mattress. Helloooo? When a Balkan person is calling anyone outside the country, they scream into the phone so the person on the other end can hear them just right. Characters… In each family there is at least one overly enthused religious cousin, one person with Tito’s photo framed and placed in the best place in the house, a fifteen year old nephew who can drink any foreigner under the table, and a younger sister wearing outfits Westerners see only in red light districts. Save the best for the guest… Guests are given the best. Balkan hospitality and friendliness is incredible. If you’re invited into this exclusive club of charming characters, you’re in for life. And you won’t regret a single moment. Heat up a generous amount of oil on high. Wait until the oil is really hot and then dip each meatball in flour and place in the pan. Fry on hot on both sides until they blush: about 3-3.5 on one side, then flip and fry another 2 minutes on the other side. 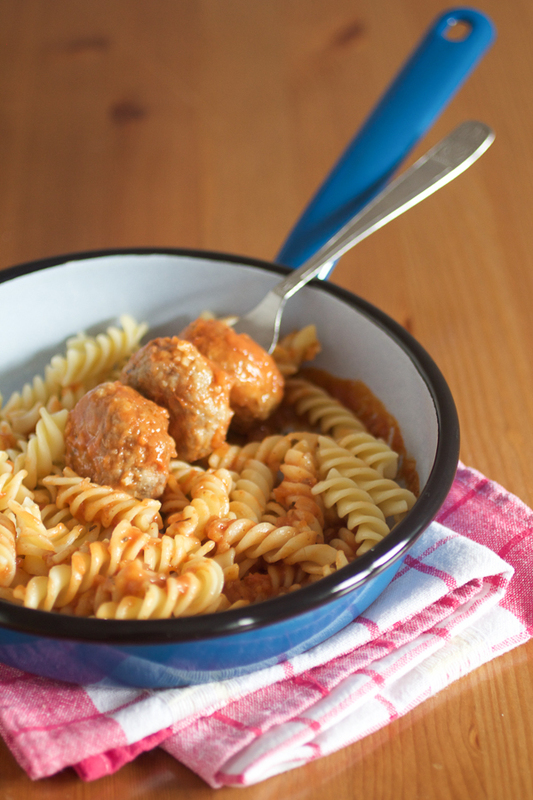 Remove meatballs into a bowl, and lower the temperature to the lowest. Add garlic and onion and a little bit of water if necessary. When the onion caramelizes (about 3-4 minutes), slowly add white flour to it, and mix well. After it’s combined, add tomato sauce and 1 and 1/2 cups of water plus herbs and spices. Mix again. Return the meatballs to the sauce, and simmer for another 5 minutes. Is 1 tablespoon of salt correct? Jeanette, it’s seasoned salt, which is a blend of table salt and other herbs (1 tablespoon, but you can start with a 1/2). If you cannot find it, try using a bouillon cube (1/3-1/2 of it). You’re always welcome to use less of it, and add more later if necessary. Good luck! Thanks Aida, I missed that. Do you typically use Vegeta or is there another brand that you recommend?